On the final stretch now! Day twenty-nine of #RPGaDAY2019 asks us to share a friendship you have because of RPGs. That's one of the great things about tabletop gaming, that it's not (normally) a solo affair, and the players we game with can become some of the closest friends we have. There are so many I could list. Most of the people I know on social media are gamers, but the best of my friends have been from my old pre-internet days of gaming. I had a few friends at school, but when one introduced me to tabletop gaming, and my first game of Traveller with some of his friends, my circle of friends grew. We'd game two or three nights a week, and most weekends. We were "The Eight" as we called ourselves, though at times our number was more. 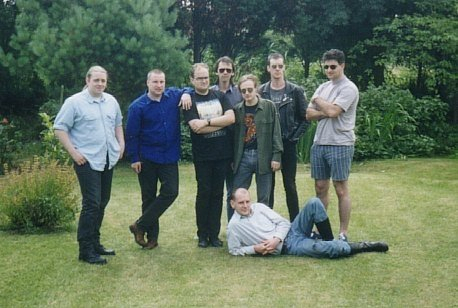 When some of the group moved away for University, we returned to playing during vacations, and always kept in touch. Now, thirty-five years or more later, we're still in contact. Always there if one of us is in need. So, thank you guys. I don't think I'd have lasted this far without you. Until tomorrow, everyone stay multi-classy! Writer, Ennie Winning TTRPG Designer, Creator of Vortex System, Gamer, Editor, General Geek, RPG nerd, creator of #RPGaDAY, dreamer and Autocrat! #RPGaDAY2018 - DAY 5: Favourite Recurring NPC? 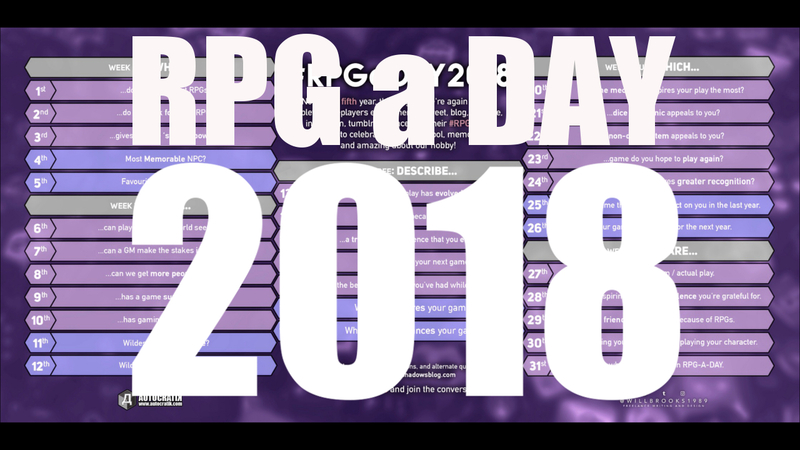 #RPGaDAY2018 - DAY 4: Most Memorable NPC? Content is copyright (c)2011 David F. Chapman. Picture Window theme. Theme images by i-bob. Powered by Blogger.